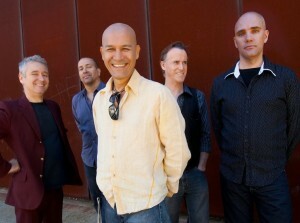 It’s already worked for so many classic Aussie acts, so clearly the gents from legendary outfit Boom Crash Opera want a little piece of the reunion action, confirming a selection of live shows in the wake of the release of their new greatest hits package late last year. The band was a regular fixture on the charts through the ’80s and ’90s with top 20 successes like ‘Onion Skin’, ‘Hands Up In The Air’, ‘Gimme’ and their breakout top five smash ‘Great Wall’. Lead guitarist Peter Farnan reveals what to expect at the live shows. “We always play the hits, but on this run we will also dip into songs that we’ve either never performed or haven’t performed for 20 years or so,” he said. Though the band will appear at a number of festivals and will also support Jimmy Barnes on some of his ‘A Day On The Green’ events, the run of headline shows kick off at Melbourne’s Northcote Social Club on March 08.